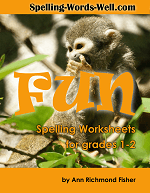 Here are two super-fun spelling activities for elementary grade students. Your kids can play them inside or outside. What could be better? Give your students quick -thinking mental spelling practice with the first fun game called, "Hands Up!" Then check out our indoor/outdoor spelling version of Hopscotch! 1. First, divide your students into two teams. 2. Call out the first 3 letters of a word. 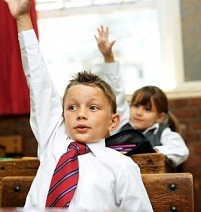 When a student knows how to complete a word that begins with those 3 letters, he raises his hand. 3. Call on the first student you see raising his hand. Ask him to finish spelling one word. If his answer is correct, then also call on any other students on his team who have their hands raised, until there are no more raised hands or until someone gives an incorrect answer. 4. Write the correct answers on the board as they are spelled. Give the team one point for each correctly completed word. 5. If the first student's answer is not correct, call on a student from the opposite team and proceed as described above. 6. At the end of the game period, the team with the most points is the winning team. You can also play this while outside or on a bus trip. Keep a pad of paper handy to record words and points. 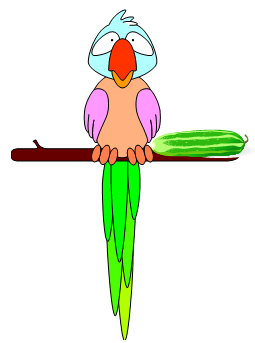 Example: The teacher calls out B-R-I. The team scores 4 points. 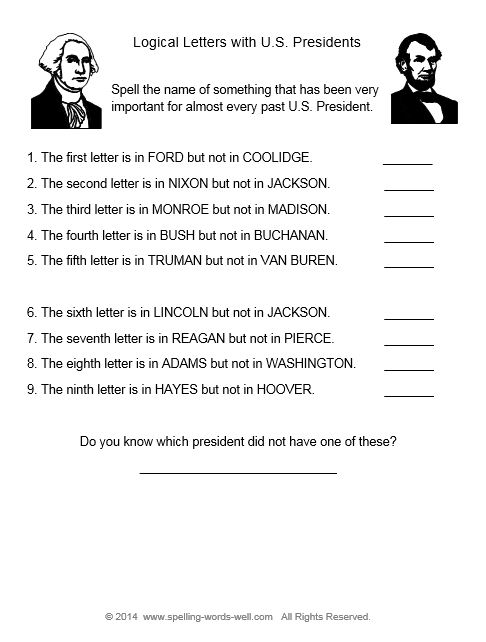 Here another one of our favorite fun spelling activities. 1. 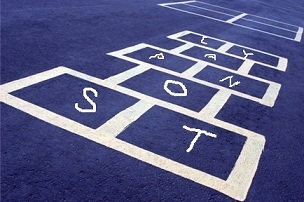 Draw several hopscotch boards on your playground. 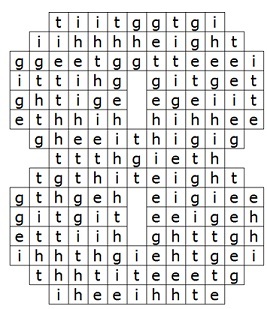 Add a letter to each square. 2. Divide students into groups of 4-6. Ask each group to stand by a different hopscotch board. 3. The first person in each group may hop on any letters in any order to spell a word. The other students follow in turn. 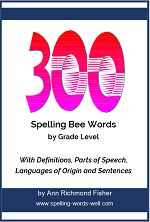 Each player must spell a new word. 4. Ask groups to rotate and play on each of the hopscotch boards. Note: You can also make hopscotch boards inside your classroom, hallway or gymnasium using masking tape. Example: In the diagram above, students could spell: son stop, top ton, pay, lay, not, pot and more. They may also spell these words if they can hop over letters without touching them: tops, snap, play and others. 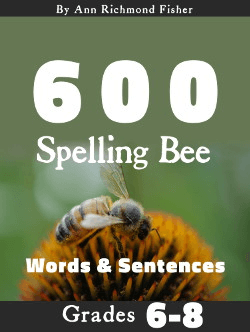 Home › Spelling Word Games › Hands Up and Hop To It!